What Should I Do After I Get a DUI? If you’re reading this then last night may have been a rough night for you; maybe the worst night of your life. I’m here to tell you that the worst is over and that you and your future will be okay, especially if this is your first DUI. The first thing that you should do is call a lawyer and seek some advice. Many lawyers in southern Oregon will meet with you for free or for as little as $100. I offer a free consultation. Here are the answers to some frequent concerns. If this is your first DUI then the answer is very likely NO, you will not have to go to jail. You are very likely eligible for diversion. Diversion is a program that will allow you to participate in alcohol classes and receive a dismissal of the DUI charge against. It is a lengthy and sometimes difficult program, but it is often the right choice for most people. Over 95% of people that are eligible for diversion accept it and participate in it. You can read more about diversion on my website or you can schedule an appointment with me and I will provide you with what you need to know about it. Should I enroll in alcohol treatment? No. do not rush into beginning alcohol classes just because you got a DUI. The judge and prosecutor will likely not care about classes that you have started. You are likely going to have to do alcohol classes as part of your case. The treatment you do before you go to court may not count. If however you have an alcohol problem and you think that alcohol classes will help you personally, then yes, enroll in those classes. This is also something that you should talk to your lawyer about. This depends on you and your case. If this is your first DUI then there is a chance (about 30%) that you will not receive any suspension. However, it is likely that you will receive some type of suspension (about 70%). If you failed the breath test by blowing over a 0.08% then your suspension will be 90 days. If you refused to blow then you will receive a suspension of a full year. Again, you have chance at beating these suspensions but you need to act quickly. You need to request an Implied Consent Hearing. The information on how to make this request is located on the yellow paperwork that was given to you by the officer that arrested you. You have to ask for this hearing within 10 days of the date of your arrest. If you are going to hire a lawyer then do not make the request until you have met with the lawyer that you intend to hire. Many normal people get a DUI in their life. Most of these people are not criminals and don’t have a problem with alcohol. 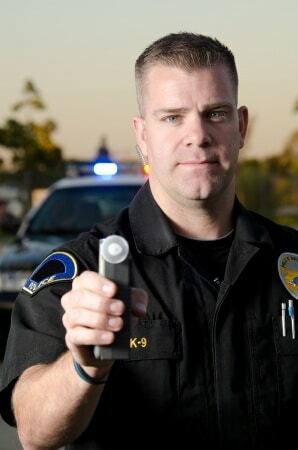 If you received a DUI then you should begin preparing to move past it. Call me for a free consultation.